After buying and reviewing Bobbi Brown’s Face Touch Up Stick (Cool Beige – 3.25), I was inspired to try some other Bobbi Brown complexion makeup. 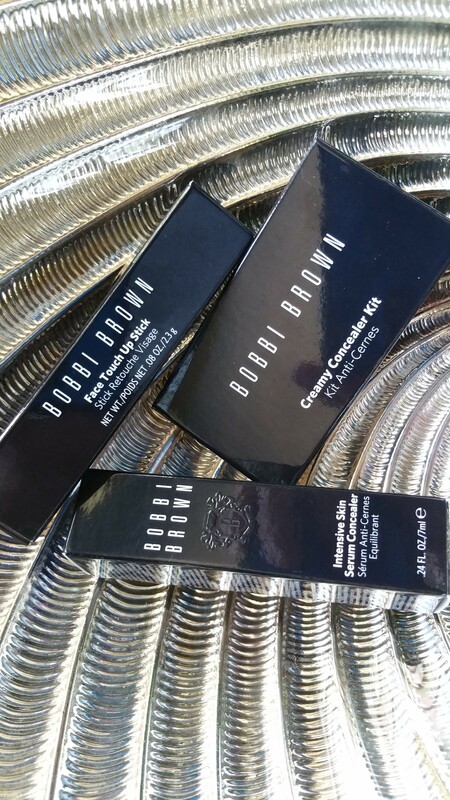 Don’t let me confuse you– I’m quite familiar with the newest releases of Bobbi’s color products– I use Bobbi’s lipsticks, blushes, highlighters, bronzers, etc. all the time, and I constantly shop for new shades. But I don’t buy foundation and concealer much, from any brand. 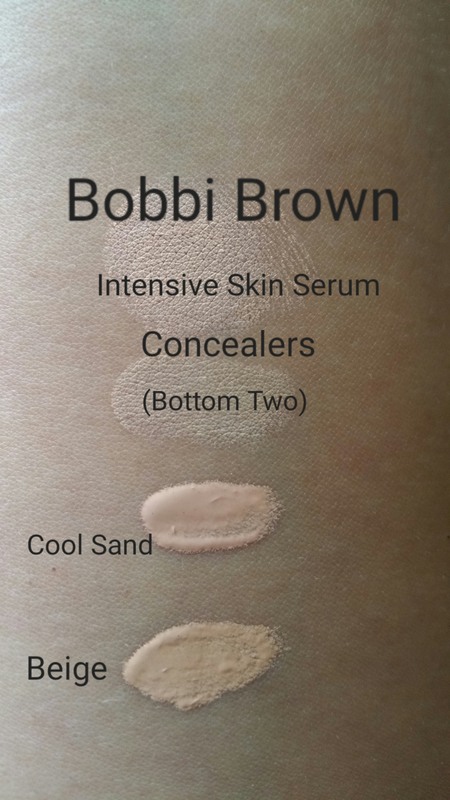 Since I usually go straight past the foundation and concealer sections when I’m browsing BobbiBrownCosmetics.com, I wasn’t current on all the new complexion products. So for the past few weeks I’ve been using the Bobbi Brown Face Touch Up Stick as a concealer, since I don’t really apply a full face of foundation. For the sake of total disclosure I’ll say that I am loyal to Cotz Face Natural Tint SPF as my daily tinted moisturizer (if you’re a first time reader, trust when I say that I mention my beloved Cotz quite often). I’ll try other tinted moisturizers if I have samples, but haven’t been swayed away from Cotz. Cotz is everything I’ve ever wanted in a base product. But, it’s not meant to conceal. So after applying Cotz, most days I still need a concealer or additional helper products. I also usually feel the need to retouch my face during the day. Often my skin starts to feel dry and I need to re-conceal some spots. With these needs, when I saw this Intensive Skin Serum Concealer I thought to myself that this is exactly the kind of “helper product” I need. I think a serum concealer is a great idea for someone with my type of skin. I opted to try the serum in Cool Sand, since I believe I am cool toned (this issue is confusing to me though, because I use self-tanner…). Anyway, I fell in love with the serum as soon as I used it. Sidebar/ Question: I guess I take for granted that everyone knows Bobbi’s products are awesome. For me that means that her palettes and compacts are sleek, solid, mirrored, and well designed. Her lip products are consistently scented and colors are named fairly consistently. I know these things, so I go back for more. In the foundation and concealer area, the products are unscented and non-irritating. So when I do come across a sample from another brand that is scented or irritating, I am always disgusted and shocked. Why would you ever add scent to these things? I was thinking Intensive Skin Serum Concealer in Cool Sand looked great on me… until I received a sample of it in Beige. I put that on and couldn’t believe how much more perfect it fit me! Do I have shade confusion? Very possibly. To try and clear things up I took out all of my Bobbi complexion products and swatched them together. 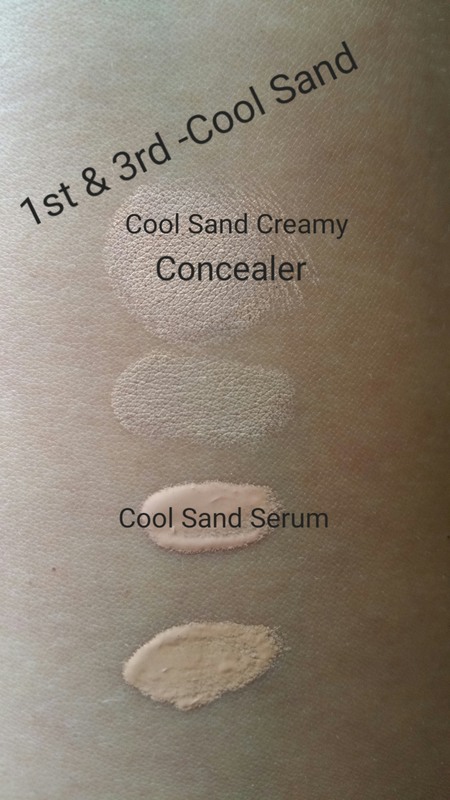 Check out some comparisons below– the photos show Creamy Concealer (.05 oz for $25) in Cool Sand, Face Touch Up Stick (.08 oz for $30) (fyi, the Stick Foundation (.31 oz for $46) is a way better deal for sure if you apply all over your face ), and Intensive Skin Serum Concealer (7 ml (~ .23 oz) for $40) in Cool Sand and Beige. Then, if you focus on just the serums (two bottom swatches) you can really see the difference in color between Cool Sand and Beige. And finally, to hone in on the consistency, compare and contrast two different products both in the “Cool Sand” color: Creamy Concealer and Intensive Skin Serum Concealer. Since accumulating these complexion products from Bobbi, I still haven’t developed a consistent routine for my face. Maybe I don’t need one. Or maybe I still haven’t found my magic concealer. Then again, maybe I’m just fickle…? I like to have options. In fact, one of my favorite Bobbi products was from years ago. It was great because it provided options: it was a mini face palette containing (from what I recall) corrector, concealer, foundation, and powder. I thought I had died and gone to heaven when I found that palette. Interestingly Bobbi Brown still sells something kind of similar called the “Face Palette” but it’s empty! Anyhow, I loved that old palette. I used it to death and then finally had to get rid of it. Bobbi, can you bring that one back to life? 🙂 Please? !